Click here to findout what it is. Over the winter and spring there have been major remedial work undertaken to stop the damp problems at our end of the station building, which were paid for by the Town Council. This has meant that the Museum was closed for a protracted period. We also have a new cabinet for the Wissett Hoards, a major Bronze Age find. A revised Geology display showing some of the erratics found in the area will be opening soon. We have published “The de Argentein Family; Cup-bearers to Medieval Kings” by David Wollwebber, the de Argenteins were Lords of Halesworth Manor in the medieval period. Priced at £10, copies can be purchased at the Mueum or at the Halesworth Bookshop. When you visit Halesworth make sure you visit the Museum, housed in our Victorian Railway Station. For more than twenty years volunteers have been collecting and researching the history and archaeology of this fascinating corner of Suffolk. Spend some time with the displays which will take you across 10,000 years, from the earliest settlers in the Blyth Valley to the busy hub of malting, brewing and agriculture which was the town in Victorian times. In the lobby there is a special emphasis on the railway, with its unique moveable platforms. Come and see how they worked and learn about the history of the two historic railway lines in Halesworth. From the lobby entre the museum through the door with Waiting Room above it. (don’t be confused by the small office, this is the local community bus office and is often full of drivers!). Once in the museum you will see a sign to the Study Room, where there is research material for anyone interested in exploring local social or family history in the area, collections of historical photographs and much more for you to peruse at your leisure. 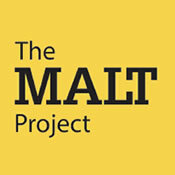 In 2015, New Cut Arts (the charity which runs The Cut) formed a partnership with the Halesworth & District Museum with the intention of bringing this industrial heritage back into public consciousness: re-presenting the MALT Story through the combination of historical research and creative thinking that has become the Trail & Experience. Note . . . . . If you are planning to visit the Museum for a specific purpose, for example to research your family history, it will be best to contact us first to ensure that the best volunteer is available. 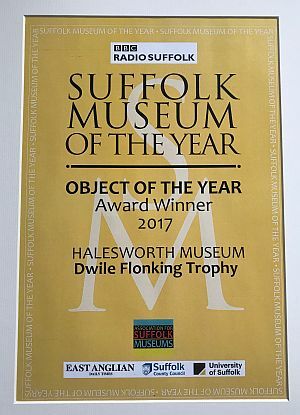 The defined area of the Museum is the town of Halesworth and the villages and hamlets of its hinterland that have historically looked towards Halesworth as the nearest market town; the villages and hamlets being Spexhall, Wissett, Rumburgh, Chediston, Linstead Magna, Linstead Parva, Huntingfield, Cookley, Walpole, Bramfield, Thorington, Blythburgh, Henham, Bulcamp, Sotherton, Westhall, Holton, Blyford and Wenhaston.